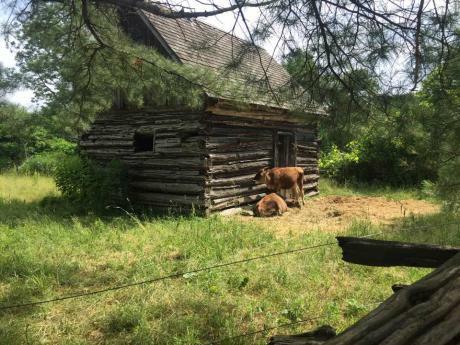 Take a step back in time and live a simpler life at Genesee Country Village & Museum. With an old school house and blacksmith shop you will feel like you are in another century. 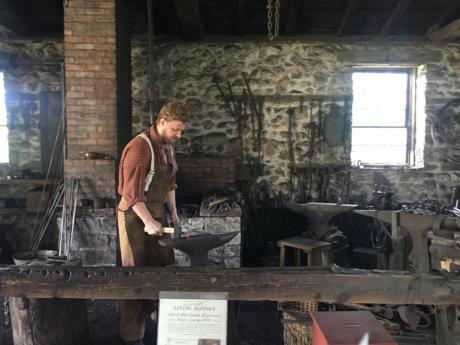 Genesee Country Museum offers a family fun day that will entertain kids of all ages. Start your day with the walk around the perimeter. 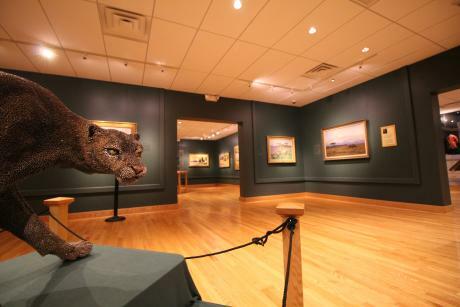 Here you will find the John L. Wehle Gallery, the Exhibition Barn, the Carriage Museum, and some restaurants. We walked past all the exhibits because we planned on vising these at the end of our day. It was a great choice because the day was so hot! I was so happy we saved the gallery for our last stop. It is fully air conditioned and has a hands-on kids room that the kids really enjoyed. The museum recreates what it was like to live from the Pioneer days of the late 1700’s to the Turn of the Century and into the early 1900’s. The museum is a great family friendly destination that gives your kids an opportunity to explore and experience life before electronics ruled the world. Our family had the privilege to celebrate Father’s Day at the museum and it was a fun experience for all of us. When you plan your visit include these 6 must see activities that your families will love. We found the Blacksmith Shop at the end of Schoolhouse Road. The Blacksmith allowed my kids to touch the different types of coal and watch as he worked the fire. 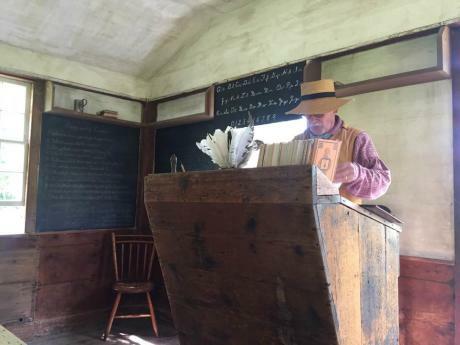 The addition of real knowledgeable actors makes Genesee Country Museum an incredible place to visit. They interact with you and answer any questions you may have. From there we made our way to Silver Base Ball Park. 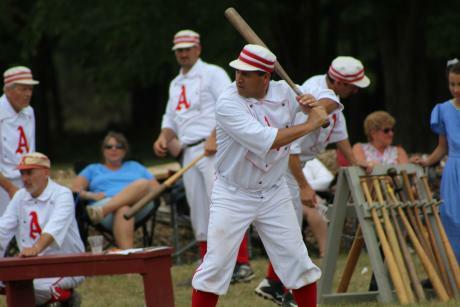 This is where you can catch an old-fashioned base ball game. Genesee Country Museum has so many special events that it is likely you could find one during your visit. Not only did they have the base ball game but they also had a class on moustaches for father’s day. We learned the moustache song and were singing it all the way home! During the year they have special events that cover history as well as Halloween and Christmas. Check out Genesee Country Museum Special Events page for more information. For me it is all about the food. I want to know where to get the best food when we are visiting. I also want to have food the kids can enjoy. 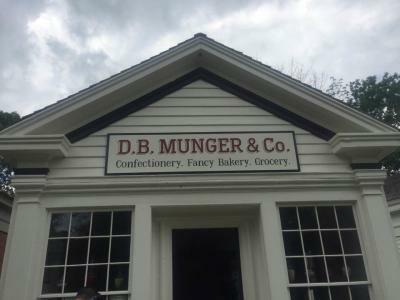 D. B. Munger & Co. 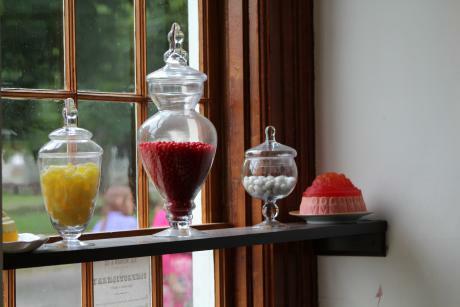 Confectionery has freshly baked treats on Friday, Saturday, & Sunday. We tried the Maple Teacakes! Yum! They also had a Steak & Ale Pie as a special. It was a hot pastry filled with Steak and Peppers. We loved it! For lunch, we ate at the Pavilion Garden Restaurant. It is open seasonally and is a great place to rest your feet. 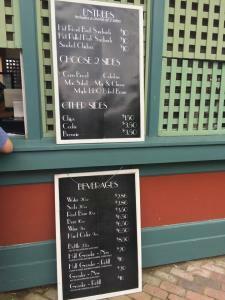 Located near the back end of the museum it has ice cream, snacks, and a few entrees. We ordered the Pulled Pork Sandwich and the Roasted Chicken to share. If your kids like farm animals, they will love finding the animals throughout the museum. We saw new lambs and chickens and roosters roaming free. They also had bulls that were fun to see. You can find the animals along Schoolhouse Road. There were also people there to share the story of the animals and how the animals helped people in the days of the Pioneer Settlement. The gallery was the last stop on our visit and we weren’t sure we were going to have time. We were so glad we stopped by. After a hot day, we were ready to cool off. The gallery is fully air conditioned and you can walk through to see the art work. The kids favorite was the children&apos;s room. A hands-on area where the kids can do puzzles, have a tea party, and play dress up. Arrive early. This allows you to visit the areas with less crowds. Let your children set the pace. The museum is enjoyed best when you move at your own pace and let your children guide the way. Wear walking shoes/sneakers. The roads are dirt and gravel, and there is a lot of walking. Be prepared! You may want to bring a stroller for little ones as well. Take a look at the map before you arrive and decide what you want to see. The museum is very large and you may not see everything in one day. Genesee Country Museum is a great family friendly destination. It shares history in a fun and engaging way. There is so much to see and do we will be planning a visit back very soon!